Sebastian Pape is a senior researcher working at the Deutsche Telekom Chair of Mobile Business & Multilateral Security at Goethe University Frankfurt. Currently he is also a temporary professor at the institute of business informatics at the University of Regensburg. He successfully completed diplomas in mathematics (Dipl.-Math.) and computer science (Dipl.-Inform.) at Darmstadt University of Technology and holds a doctoral degree (Dr. rer. nat.) from the University of Kassel. From 2005 to 2011, he worked as research and teaching assistant at the Database Group (lead by Prof. Dr. Lutz Wegner) of the Department of Electrical Engineering and Computer Science of the University of Kassel. 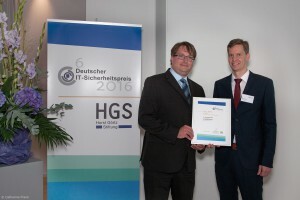 From 2011 to 2015, he was a senior researcher and teaching assistant at the Software Engineering for Critical Systems Group (lead by Prof. Dr. Jan Jürjens) of the Department of Computer Science Department of TU Dortmund University. From October 2014 to January 2015, he also was a visiting researcher (of Prof. Dr. Fabio Massacci) at the security group of the Department of Information Engineering and Computer Science of University of Trento. Together with K. Beckers, Sebastian Pape is founder and managing director of Social Engineering Academy GmbH. We offer interactive trainings with serious games to raise awareness and to protect against social engineering attacks.